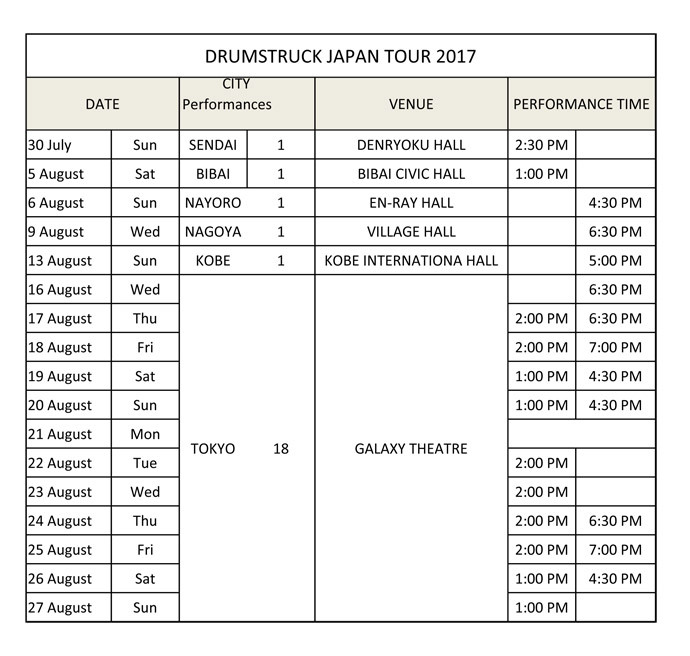 2017 will be the 10th year that Drumstruck has toured Japan, this has been a very successful event taking place every summer in Japan in partnership with The Drum Café, Horipro, WOWOW and Fuji Television. Over the years Drumstruck has become a firm favorite during the holiday period and has toured extensively throughout the regions of Japan finishing as always with a 2 week season at the Galaxy Theater on Tennozu Isle, Tokyo. 2017 Japan Tour Schedule: Book Your Tickets Here!